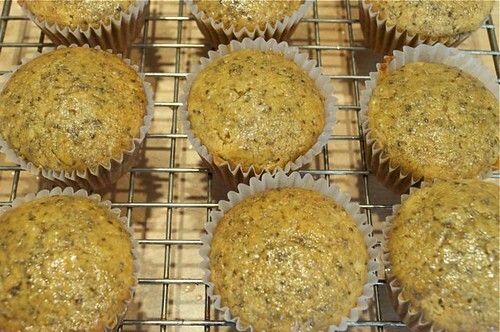 Lemon poppy seed muffins scream the 1990’s almost as loud as scrunchies, line dancing & pogs (remember them?) and have made an appearance on dessert trays ever since. 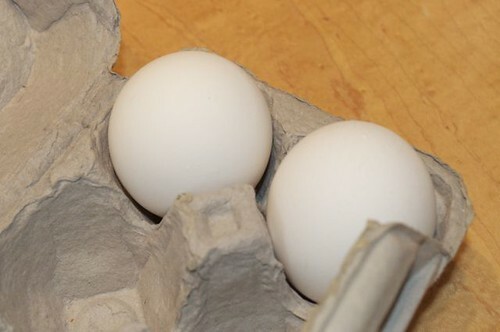 It’s such a glorious combination on it’s own but is also an opportunity to switch it up – from the flour to the seeds to the supporting players. 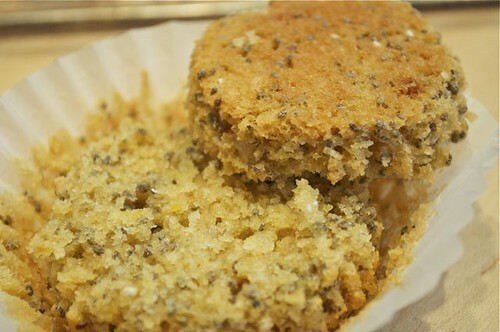 Healthier whole-grain pastry flour stands in for regular, pumped up chia seeds stand in for poppy and coconut oil & flakes bring added flavour & texture, not to mention added health benefits! These started out innocently enough, fell off the rails as I rallied my stand-ins, recovered, ending up with a zippy, tangy, lip-smackin’ little muffin, all in under an hour! So, what do I mean “fell off the rails … rallied … and recovered” – coconut oil is solid at room temperature and resists mixing into cold liquids, so when the cold milk, cold eggs, agave and coconut oil started whizzing around, it looked like the effects of global warming – little coconut oil glaciers floating randomly at sea, refusing to make peace with the cold milk. What to do? 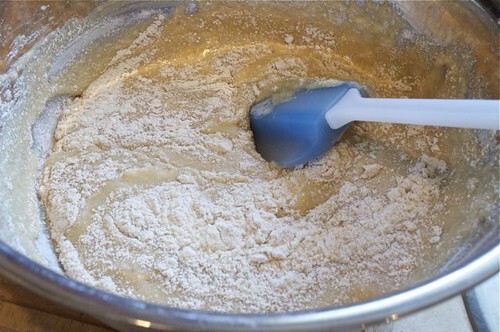 I added half the dry ingredients, beat it into submission, which brought the sea back together, then simply added the loose batter to the bowl with the other half of the dry stuff. 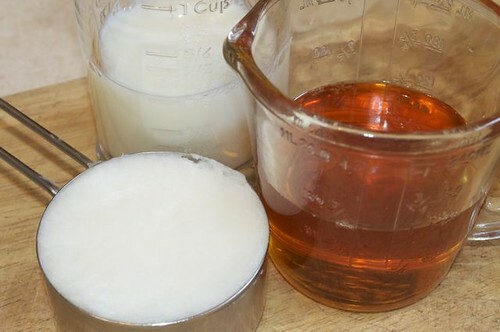 I would do it like this again, as opposed to liquifying the coconut oil in the first place. 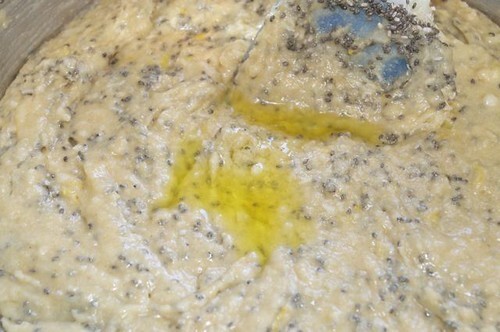 Don’t want to be messin’ with hot oil in my batter! 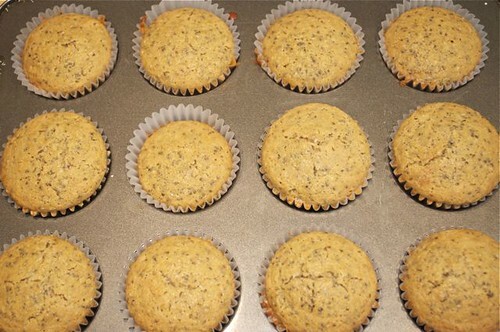 Just thought you needed to know that every muffin session ain’t a cake walk, but hopefully it ends up as one! 1. 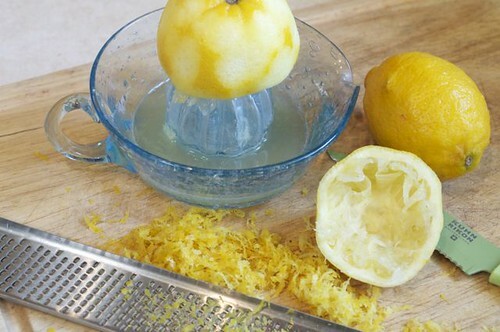 First, zest and juice the lemons. 2. You’ll want at least 1/4 of a cup – set aside. 3. 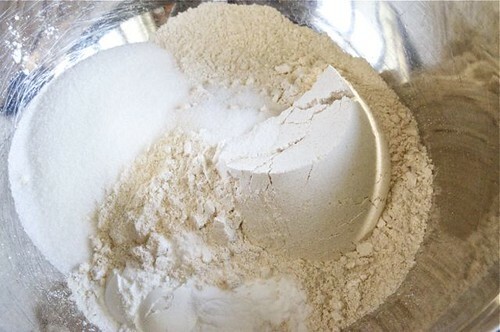 Measure the dry ingredients and stir to combine. 4. Get the wet together. 6. Start whizzing. 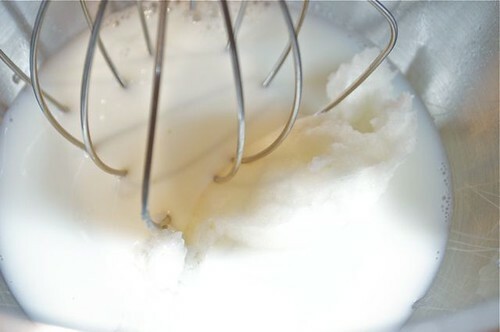 This is where the effects of global warming showed up – little coconut oil glaciers refusing to make peace with the cold milk & eggs. 7. So I added half the dry ingredients and beat it into submission. 8. 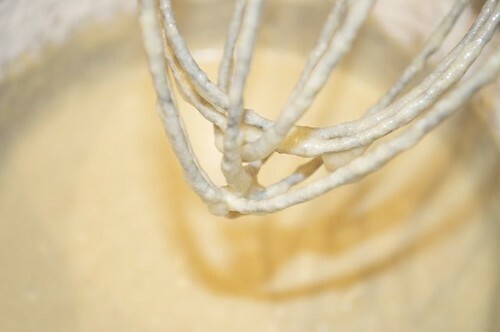 Add the loose batter from the mixer to the bowl with the other half of the dry stuff. 9. 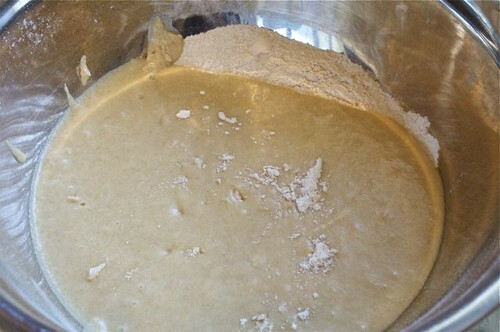 And fold away until no flour streaks remain. 10. 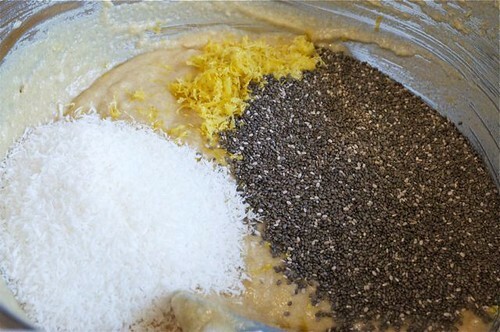 Fold in the coconut, chia seeds & lemon zest. 11. This was an afterthought – lemon extract to push the lemon flavour. This could be added to the wet at the start as well. 12. 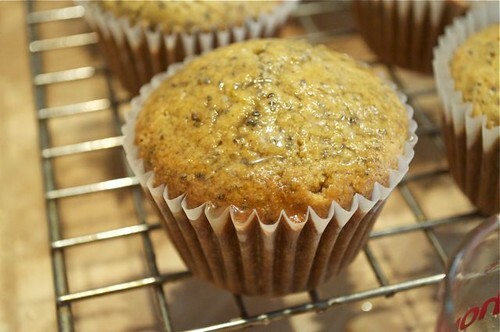 Fill your muffin liners 1/2-2/3 full. 13. 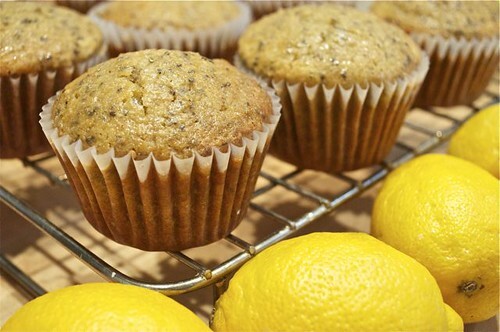 And presto – lovely golden lemony warm muffins just beggin’ for a lip-smackin’ glaze! 14. But first, look how lovely and airy! 15. And golden on the bottom. 16. 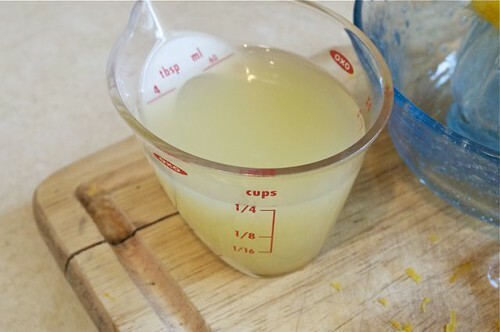 This is a 1:1 ratio of blue agave & lemon juice – stick with the ratio and you’ve mastered lemon glaze 101 minus a boatload of sugar. 17. 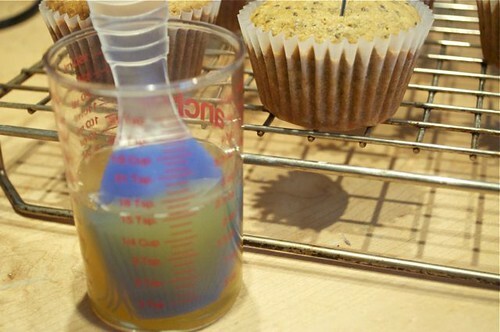 Take your tester (or anything that can make little holes) and pierce your muffins all over. The glaze will now seep ever so cleverly into the muffin. 18. 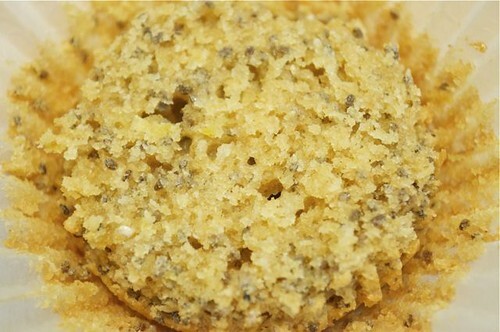 Using a pastry brush, start brushing the glaze generously over each muffin. 19. Until their all glazed up. 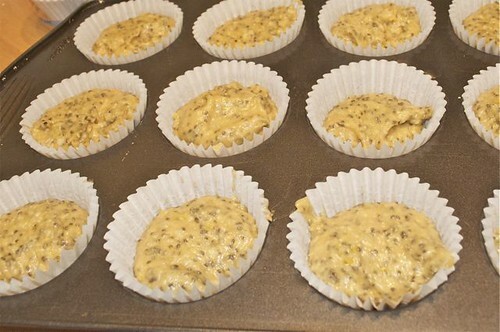 Preheat the oven to 375° and prep a muffin pan, either grease or use paper liners and set aside. 5. 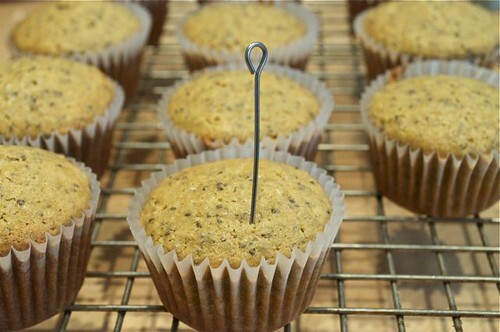 Make a few “holes” in the muffins with a skewer, cake tester or toothpick and brush the glaze over the warm muffins a few times. 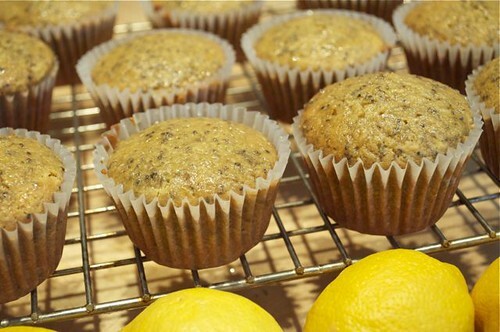 We’ve yet to try chia seeds, this might be the recipe that gets us on the bandwagon. They look so yummy!